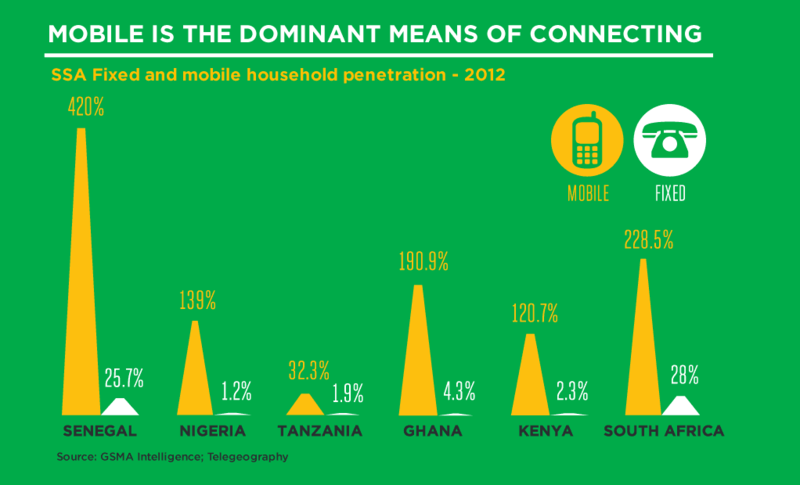 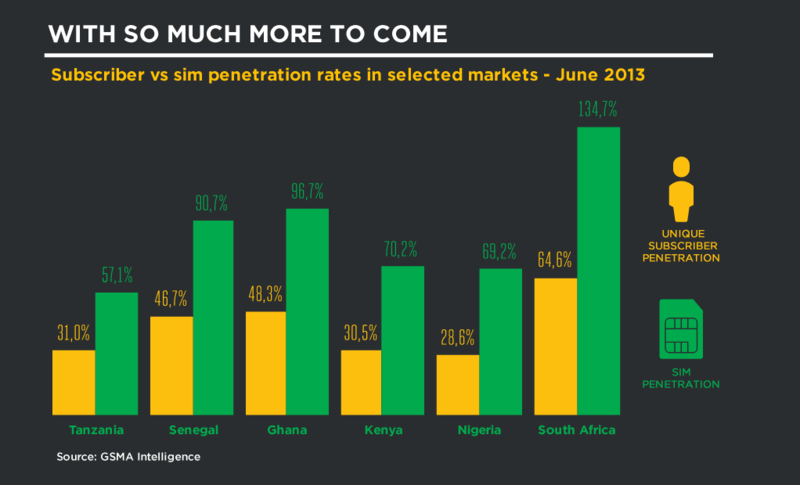 A recent report on how the Mobile Economy impacts nations " a recent report “Sub-Saharan Africa Mobile Economy 2013”, developed by GSMA Intelligence, reveals that mobile contributes over six per cent of the region’s GDP, higher than any other comparable region globally, and this is forecast to rise to over eight per cent by 2020 1. 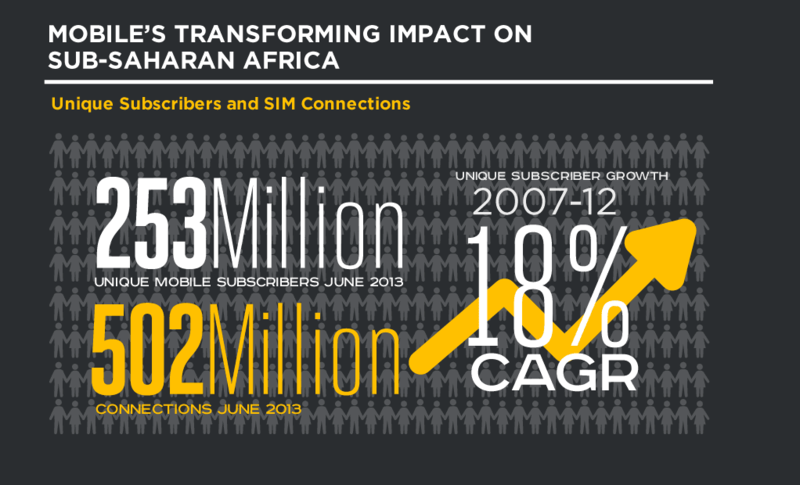 Last year, the mobile ecosystem directly supported 3.3 million jobs and contributed US $21 billion to public funding in the region, including licence fees. 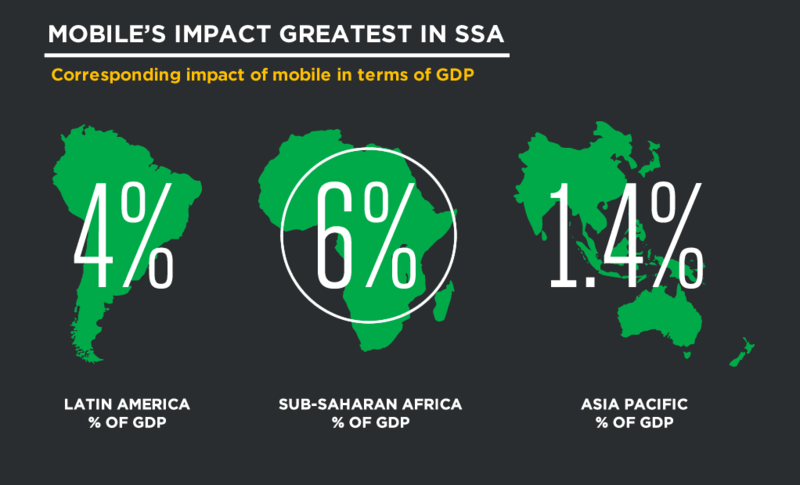 By 2020, mobile is set to double its economic effect, employing 6.6 million men and women in the region and contributing US $42 billion to public funding.